St Louis Bankruptcy Attorney: Can Medical Bills Be Discharged In A Bankruptcy? Yes, a St Louis bankruptcy will get rid of such debts. Medical and hospital bills are unsecured debts (much like credit cards and payday loans). And they are therefore dischargeable in a St Louis Chapter 7 bankruptcy (and very frequently in a St Louis Chapter 13). The cost of medical care in this country has stabilized a bit since the introduction of the Affordable Care Act (commonly referred to as “Obamacare”), which means that the upward trajectory of medical bills for people has at least not gone up as quickly as it has in the past. But nevertheless, medical debt is still a huge concern for many millions of Americans. So much so that just one procedure can essentially put you in the poor house. And that’s even when you have decent health insurance!! A St Louis Ch7 will also take care of the rest of your unsecured debt as well. So all your credit cards, payday loans, utility bills, overdrawn bank accounts, etc., will get discharged by the court along with the medical bills. And the filing of a bankruptcy will also put an end to any wage garnishment your dealing with, a bank levy that has frozen your checking account, or lawsuit that has been filed against you. We have a much different plan in mind for you!! We will want to get those debts knocked out altogether. 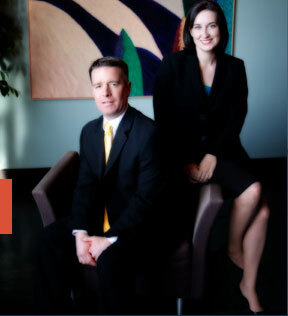 Our specialty is in filing bankruptcies in the St Louis area so that you can get back on your financial feet. In order to achieve that goal, we will want to meet with you in person, answer all your questions, thoroughly describe your full range of options, and help guide you through the process from start to finish! !